Don't trade quality for lower prices with The Acadia. 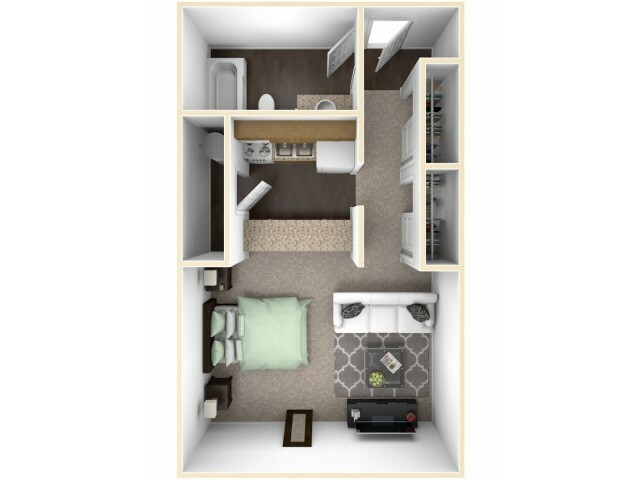 Our Studio style floorplan boasts 3 closets, private entry, and full size appliances. The bar style kitchenette creates an open layout at the perfect price.